Renaissance man extraordinaire James Franco adds another creative accomplishment to his already hefty arts résumé. According to The New York Observer, Franco is signing with Amazon Publishing and its fiction editor Ed Park to write his first novel, Actors Anonymous, described as a story inspired by his own experiences as an actor. After a year’s worth of projects ranging from co-hosting the Oscars telecast with Anne Hathaway to creating an arts installation inspired by the TV sitcom Three’s Company at the 2011 Sundance Film Festival and acting opposite Andy Serkis’ performance capture work as the chimp Caesar in Rise of the Planet of the Apes, writing a novel may seem like a break from the hectic world of, well, being James Franco. In addition to writing Actors Anonymous, Franco is currently at work filming Disney’s The Wizard of Oz prequel Oz: The Great and Powerful as well as the indie drama Lovelace and preparing to direct a number of films including The Adderall Diaries, an adaptation of William Faulkner’s As I Lay Dying and Cormac McCarthy’s Child of God. 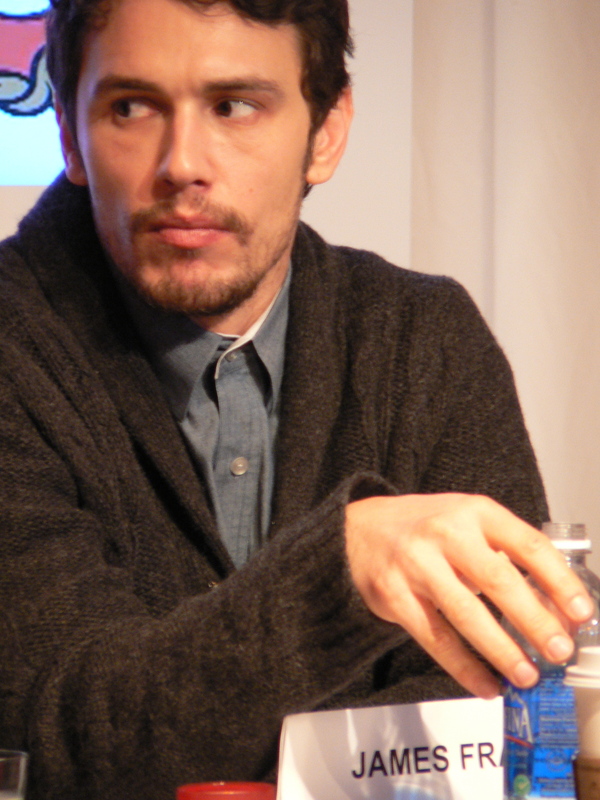 Franco begins work on Actors Anonymous with literary experience under his belt thanks to his 2010 short story collection Palo Alto published by Scribner. Designer Jonathan Adler has 15 home and gift stores to his name as well as popular designs in decorative objects, furniture, lighting, bedding and a wide variety of interior objects. Adler reaches out to his widest customer base yet and partners with consumer brands giant Kimberly-Clark on the RepectTheRoll campaign. Adler puts his trademark bright colors and bold patterns to surprisig use by crafting three designs for Cottonelle’s line of designer toilet roll covers. Consumer giants like Kimberly-Clark are experts at persuading people to start buying items they never thought about before. With Adler’s help, toilet roll covers may become a must-have item for the bathroom. Best wishes for future career chapters and thanks for 23 years of incredible film journalism to J. Hoberman, who was sadly let go yesterday by The Village Voice. I understand the depleting ranks of U.S. film journalists from personal experience. Still, Hoberman’s layoff by The Voice is especially disappointing.